The Wax Figure of Captain America as portrayed by Chris Evans will reside in Madame Tussauds Washington D.C. for the summer months only! Marvel Comics’ Captain America Wax Figure Coming to D.C.
Madame Tussauds Washington D.C. will kick off of the summer season with a Marvel-ous addition to their legendary line-up of wax figures. Join in the spirited celebration as Madame Tussauds welcomes the wax figure of Captain America on Tuesday, June 9th at 9:30am at Madame Tussauds (1001 F Street, NW). The figure will be launched with the help of local children and will remain in the nation’s capital through August. Captain America, as initially portrayed by Chris Evans in the 2011 blockbuster Captain America: The First Avenger stands in his patriotic red, white and blue costume, holding his nearly indestructible circular shield. The instantly recognizable costume was generously donated to Madame Tussauds by Marvel. The suit, which was originally fitted for Evans’ stunt-double, has been perfectly altered to fit the figure. The superhero known for defending the nation is a perfect addition to the iconic D.C. attraction. The Captain America wax figure was first unveiled in 2012 as a part of Madame Tussauds New York’s interactive Marvel Exhibit, which now includes the wax likenesses of a 15-foot-tall Hulk, Spider-Man, Thor, Iron Man and Hawkeye. 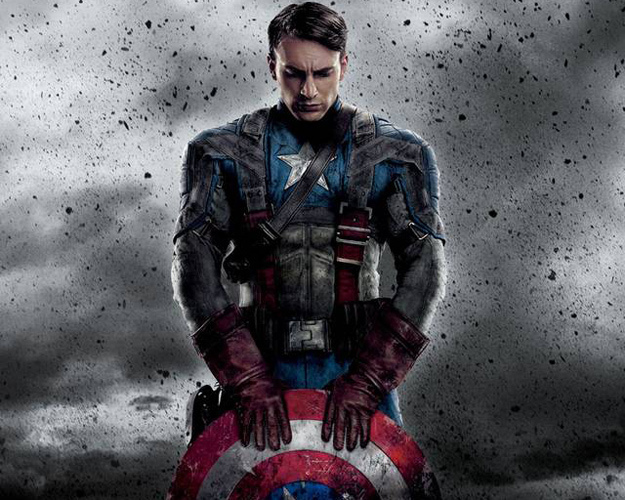 Madame Tussauds Washington D.C. is honored to have the Captain America figure on loan for a limited time only. Madame Tussauds Washington D.C. is a fully interactive, full-sensory experience, where visitors are able to touch, see and hear major historical events and celebrities in a way like no other in Washington D.C. Highlighted by the Presidents Gallery, which features wax figures of all 44 U.S. Presidents, the attraction showcases likenesses of some of the world’s most recognized individuals and celebrities. For more information, visit www.madametussaudsdc.com or call 202-942-7300.